Sigelei Snowwolf 85w Coming Do You Want It? Snowwolf new available-Snowwolf 85w Mod ,easyly to take do you want to try it ? 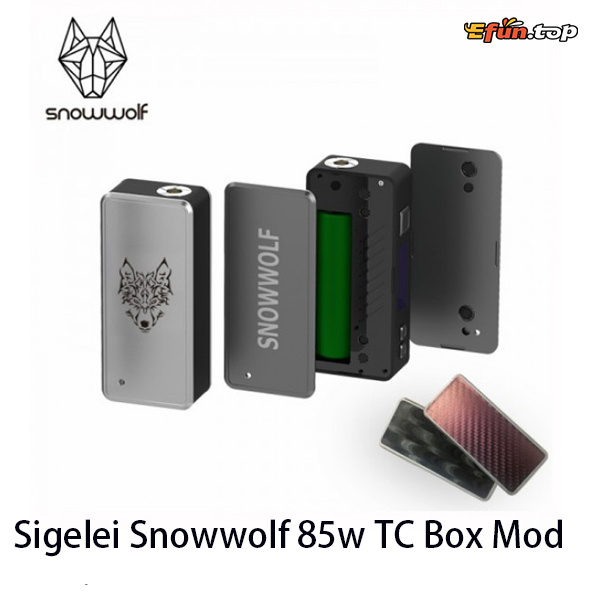 Sigelei Snowwolf 85w TC Box Mod is the next revitalization of the beloved snowwolf. Made of high quality Aluminum alloy & zinc alloy, the Snowwolf 85w has a pocket friendly, simply style mod with different skin covers for holding and vaping. Along with a really easy to use 0.91〞OLED display for clearly showing your vaping datas. Powered by single 18650 battery and power can up to 85w, supports various modes. Excellently ergomically designed with good hand feel makes this the perfect vape device to sit back and enjoy!